Launched in 2014, the Makers Arcade Holiday Fair features a selection of unique handcrafted goods from local makers. 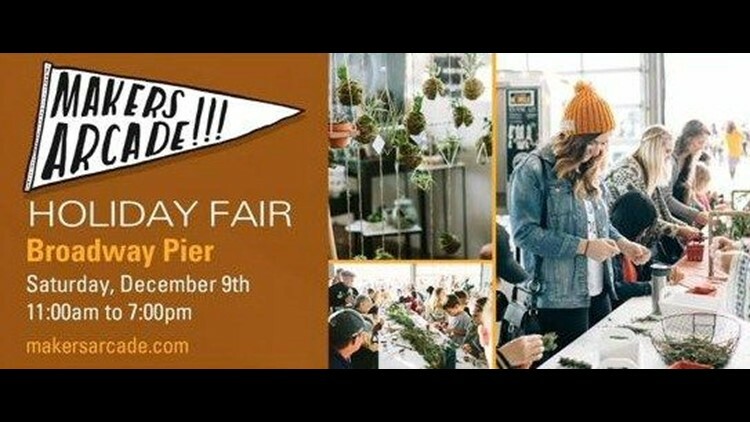 SAN DIEGO (NEWS 8) — Launched in 2014, the Makers Arcade Holiday Fair features a selection of unique handcrafted goods from local makers. This year's Holiday Fair will take place on Saturday, Dec. 9 with returning vendors along with 54 new artists. In addition to supporting local makers and getting holiday shopping needs met, attendees will also have access to features including: crafts to make, live music, craft cocktails and beer, food trucks on site, games, door favors and more.